 If left unaided hearing loss can negatively impact a child’s language, social/ emotional, and educational development. Currently about 20 states mandate insurance to cover these lifetime costs. Kansas is not one of them. The average cost of a pair of hearing aids is $4800 (mid range). That doesn’t include batteries, earmolds, repairs. Hearing aids are not a one time purchase. The functional life of a hearing aid is four to six years. The number of school aged children with some degree of hearing impairment in WY & JO county Kansas is nearly 1000. 93% of babies who are deaf/hard of hearing are born to hearing parents. About 2 to 3 in every 1000 babies in the United States are born with some degree of hearing loss, making it the most common difference found in newborns. ** CDC data and statistics for hearing loss in children.